Local movie 'Keeping Up With the Kandasamys' earns a whopping R16-million at cinemas across South Africa. Twelve weeks after its release, 'Keeping Up With the Kandasamys' is still coining it at the box office. The South African movie has raked in R16-million since its release in March. The film, which was shot in Chatsworth, tells the story of two rival families, the Kandasamys and the Naidoos. 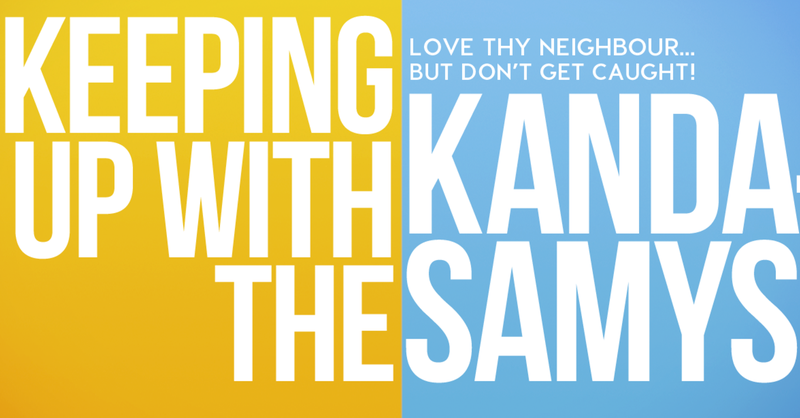 "Two arch enemy mothers of rival, neighboring families find out their children are in a romantic relationship, and the only way to break them up... is to work together... Love Thy Neighbour... but don't get caught!" a synopsis of the film reads. The family comedy has been a hit with cinema-goers across the country since its release on March 3. It earned R1.6-million from 26 cinemas during its first week, and made a whopping R4-million in two weeks. The movie is currently still showing at Gateway's Ster Kinekor and Galleria's Nu Metro cinemas. Director Jayan Moodley told Phat Joe on the East Coast Drive in March that the movie's success was a win for the Durban film industry. "It feels hugely excited, mainly because it is such a win for Durban, for KZN, and for film making in South Africa. It's just amazing. We feel loved," she said. Now the question remains, will we get to see a sequel?